Kentucky Shaped Cutting Board and Serving Board crafted from Thick and Gorgeous American Walnut Wood. Available in Multiple Sizes. Ideal for Gifting and Longterm use. Product prices and availability are accurate as of 2019-04-14 15:05:44 EDT and are subject to change. Any price and availability information displayed on http://www.amazon.com/ at the time of purchase will apply to the purchase of this product. 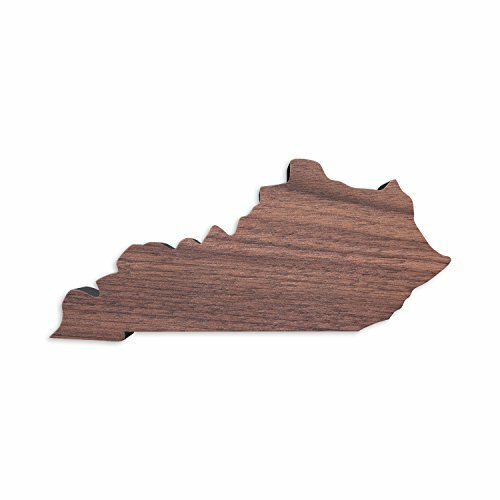 Artisan designed and laser cut from quality American Walnut Wood for a deep, rich color on the surface of the cutting board. Cutting board sides are charcoal and jet black for dramatic visuals contrast. 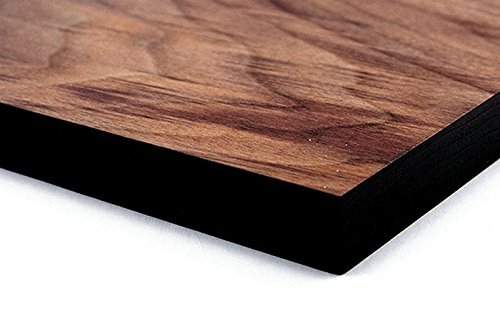 Each board is 3/4" thick walnut and has a heavy weight and quality feel. Thinner and more unique shapes are best suited for serving cheese, charcuterie, and snacks due to limited surface area. Hand polished, stained, and treated with high quality mineral oil for a beautiful, smooth texture. Built for longevity and heavy use. Grain of the wood may vary slightly due to the natural properties of the wood. Perfect for entertaining and whimsy. Each shape is unique and one-of-a-kind. Ideal for gift giving, wedding gifts, holiday gifts, corporate gifts, birthda presents, and more. Easy care throughout the years - simply treat with mineral or cutting board oil occasionally between use. Polish and towel dry to rejuvinate the Walnut wood.